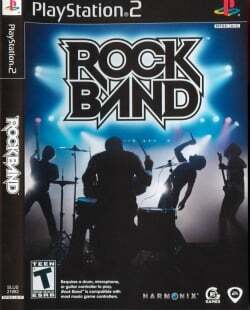 Game description: Rock Band allows gamers to perform music from the world's biggest rock artists with their friends as a virtual band using drum, bass/lead guitar and microphone peripherals, in addition to offering deep online connectivity. Built on unprecedented deals with the world's biggest record labels and music publishers, the music featured in Rock Band spans all genres of rock and includes many of the master recordings from the biggest songs and artists of all time. Reusing many gameplay elements from the Guitar Hero series, Rock Band expands on it offering gameplay for drums and vocals, in addition to lead and bass guitar. USA v02.00(14/06/2004), Enable INTC Spin Detection, Enable Wait Loop Detection, mVU Flag Hack, MTVU, Most, if not all, songs are playable (haven't played all of them yet.) Maintains 60FPS with no dips (the game is not GPU-intensive, as the only thing rendered during a song is the fretboard. The background is a video. ), None that I know of. USA v02.00(14/06/2004), Enable INTC Spin Detection, Enable Wait Loop Detection, mVU Flag Hack, MTVU, Works awesomely, played many different songs with no issues at all. Using PS2 Wireless Rock Band Guitar with USB adapter. This page was last edited on 19 November 2016, at 17:01.